TWO. Does anyone know of a good place to get faux floral arrangements that look real and won't break the bank? 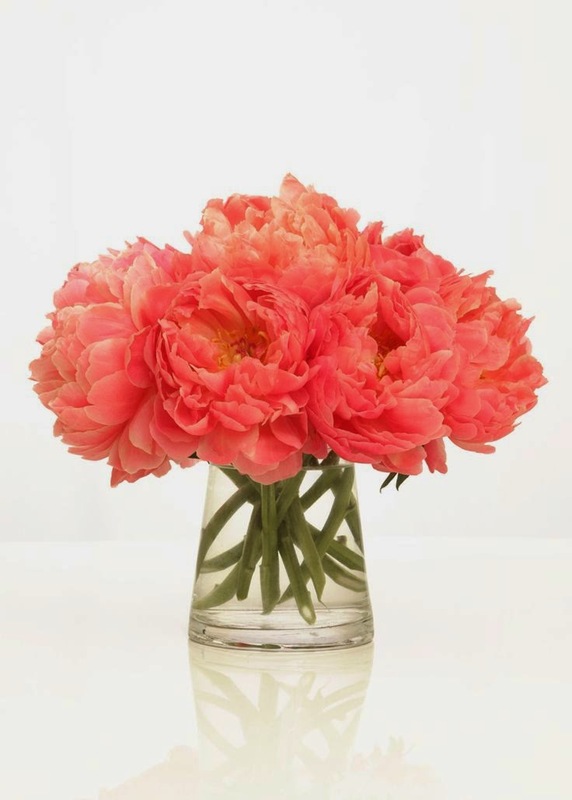 I want a vase of pretty silk peonies for Mim's nursery, but I can't find anything I like that's less than $200. Why in the world are fake flowers so expensive? I could buy real peonies every week for 2 solid years for that price. Also, the nursery is no where close to being finished (no rocker, no changing station, no curtains, no wall decor), yet I'm stressing out about one stupid vase of fake peonies. What is wrong with me? THREE. I've been forcing Mac to take more selfies with me lately. Because I can, that's why. He hates the camera and I can never get him to look at it or smile. I want him to get over that asap. I am going to need Mac and Mim photos and he must get it together. Right now he tolerates getting phone photos taken much better than he does with the DSLR, so I'm starting there. I think it's because he can watch/see himself on the screen while I'm taking the photos. These were photos taken last week in Florida while we were riding on the golf cart (the happiest place ever) and it only took me about 19 shots before I got a tiny little smile from him. Success...I guess. FOUR. Can a person overdose on lemonade? I worry that all the acid is going to pickle this little baby or burn out all my tastebuds, but the lemonade cravings continue. They're intense, too. I can't seem to go more than a few hours without some. Much easier to deal with than the Chipotle chicken taco obsession I had with Mac, but still bizarre to me. After I have this baby I probably won't be able to drink lemonade for the rest of my life. FIVE. I FINALLY found a pair of sunglasses that Mac will wear. I think I've probably bought him 17 pairs of sunglasses and he won't wear any of them for more than a minute. We were in a beach shop last week in Florida and I made a last ditch attempt to try one more time and grabbed a pair off the rack for him to try. Lo and behold, he wore them all week long! On our final day he was playing with them during a diaper change and stretched them out so they wouldn't quite stay on his face anymore so I went back and bought 3 more pairs. They're super cheap and totally generic, so I have no idea who makes them or where I can find more, so fingers crossed they will get him through the summer. How cool (and adorable) does he look in his shades?! Oh you look so great! I loved being pregnant too and felt the most beautiful when I was, I can't wait to do it all over again someday (God willing of course). seriously, you are beautiful! & totally rocking that 32 week bump! A baby next month - holy moly! So exciting. Can't wait to hear her name and see her nursery. I'll let you know if I see any beautiful fake peonies. You look amazing!! I can't believe how close we are to the finish line! You look amazing!! And baby selfies?! I LOVE EACH AND EVERY ONE! You make pregancy look so easy what a beautiful picture! And finding the right floral arrangement is for sure a priority!!! ;) Can't wait to see the nursery I'm sure it will beautiful. You look great. I can't believe your baby is due next month. As for pictures with Mac, I have the exact same problem with Jackson. He is HORRIBLE about getting his picture taken. But like you, he will occasionally tolerate a iPhone selfie with me because he can see himself. Ha! Love the belly. It's been 2 weeks and I miss my pregnant belly terribly. Happy my boys are here, but gosh I loved pregnancy, aches and all. love the baby selphies!!! so cute and so fun! Yay for sunglasses! Callie "loves" them but only wants to wear them for a few minutes before she's done with them. leaves hers or yours out? she puts them right on! crazy toddlers! you look awesome mama! yay for feeling good this late in the pregnancy game! You are absolutely stunning! and I love that top! And I know all too well about people not wanting their photos taken! Both my husband and my daughter hate it! I have to sneak candid photos of them!!! You look great, and I am with you I loved being pregnant, even during the hard parts!! So adorable with those shades! I craved lemonade with my first too (also a girl!). For the flowers, what about doing something like paper flowers? I bet you could find some really beautiful ones on etsy that wouldn't break the banks. You look amazing! I can't believe she will be here next month! I cannot wait to see her nursery. Luke won't even have one in this house…I am totally bummed about not being able to get one ready for him. And Mac in those sunnies…adorable! You look amazing! And I'm LOVING that shirt!! Also loving those selfies!! Mason will not sit sit or smile for photos for me even if I beg. We've been doing lots of selfies recently and he will actually smile. I'm thinking maybe because he can see himself, like what you said? Either way, loving the photos with my little love. OH! And teach me your secret! Mason will not wear sunnies to save his life, how do you get Mac to keep them on?? 1) You are seriously the cutest pregnant lady. Ever. 2) Have you every tried to let Mac take a picture with your DSLR (with your assistance and guidance every second it's near his little hands- obviously)? I had Marcus take a few pics with my camera and he LOVED seeing the images on the digital screen. Since then he's been *pretty* good about taking pictures, so long as I show them to him as soon as I take them. 3) Please send the sunglass whisperer to Marcus. Kid refuses to wear any pair. GAH! You look fabulous! Love the shirt! I know what you mean about crazy expensive fake florals....I love them but they are crazy expensive. Maybe try Homegoods? You are looking good with your lil preggo belly! 1. i have recently found some great faux arrangements at TJMaxx for $20-30 so they don't break the budget! 2. yay for sunglasses success!!! 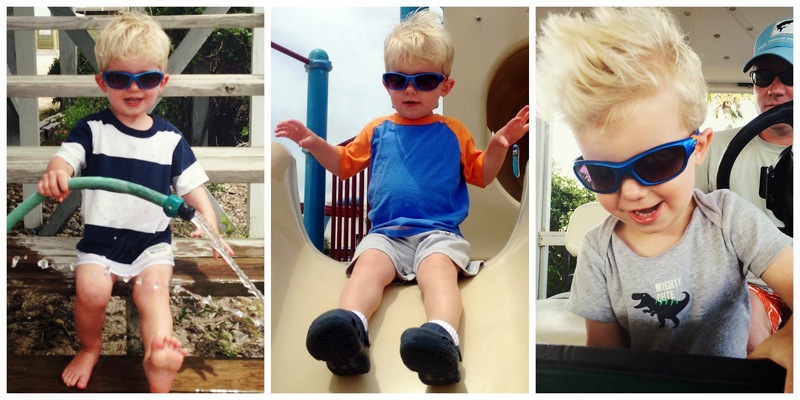 babies in sunnies are absolutely adorable and mac totally rocks his newest ones out! You're looking amazing! Love that bump! 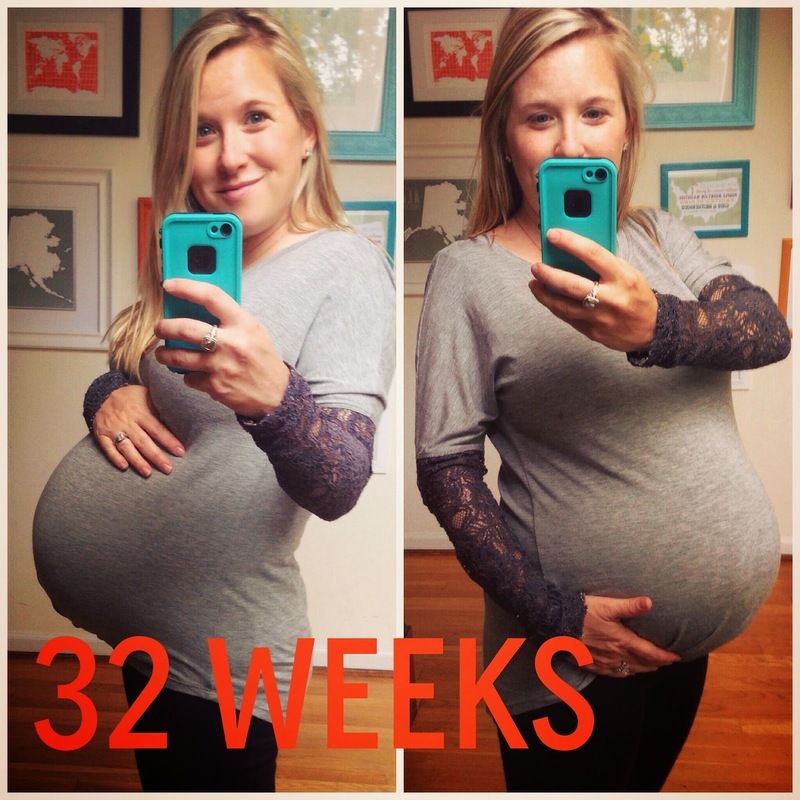 I love that you love your bump! It is beautiful and amazing! I love having a bump. But I love the movement the most, best moments. And, best selfies ever! Love that belly!! I love being pregnant, too. Chipotle chicken tacos ... burrito or bowl for me, but mmmm, I LOVE me some Chipotle. I often wonder if my baby will turn into a raspberry I eat so many. 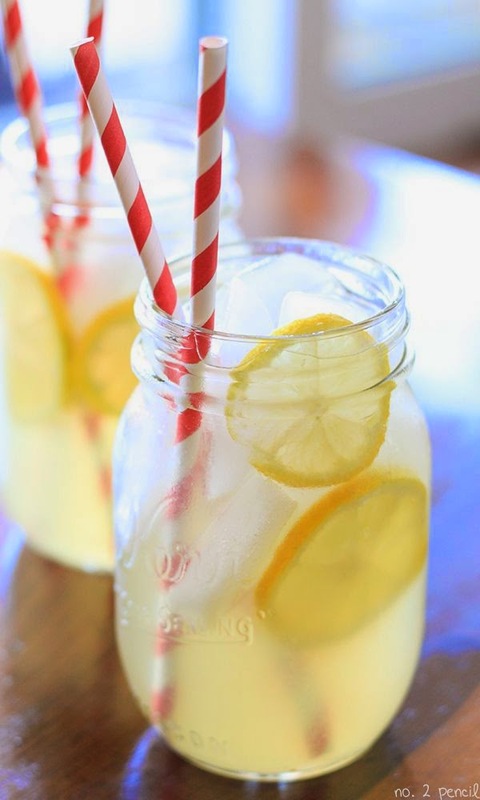 ;) Lemonade - now I'm going to go home and make some, that sounds divine!